Uncategorized » Spaces co-working office chooses GTC White House. Property now fully leased. GTC is thrilled to announce that IWG has selected Budapest’s GTC White House to host the first Spaces co-working office in Hungary. IWG Hungary signed in mid-March 2019 a lease agreement for 3,500 sq. m in the LEED Platinum certified office building. Completed in June 2018, the 21,500 sq. m landmark building on Váci út office corridor is now fully leased. Spaces combines an inspiring work environment with the benefits of an exclusive business club. The concept aims to boost productivity and support collaboration between members and will be rolled out at GTC White House in Q4 2019. “Signing the lease agreement with Spaces, the final lease at GTC White House, feels like completing a work of art” – said Bori Gedai, Deputy Country Director at GTC Hungary. “IWG deal means 100% occupancy has been achieved within 9 months of the building’s official opening” – added Bori Gedai. GTC White House holds the prestigious LEED platinum certification in recognition of its excellence in environmentally responsible building design, construction and operation. It has collected several illustrious industry awards, including CRE Awards 2018 and CIJ Awards Hungary. Spaces is a premium co-working and serviced office product from the International Workplace Group (IWG). It launched 11 years ago and comprises 240 locations worldwide, all providing users with an inspiring, comfortable and community office experience. “Spaces is a creative work environment with a unique entrepreneurial spirit. Our dynamic workspaces help you think, create and collaborate, while our team makes sure you feel welcome. What really makes Spaces unique is the community we have worked to cultivate – full of forward thinkers, innovators, and game changers who love what they do” – commented Spaces’ co-founder and Managing Director Martijn Roordink. Leading global real estate services company CBRE acted as adviser to the deal. “It is always great to contribute to a deal like this. The building offers outstanding spaces with many sustainable and green solutions that will inspire the people who will be working there” – said David Johnston, Head of Advisory and Transaction Services at CBRE. 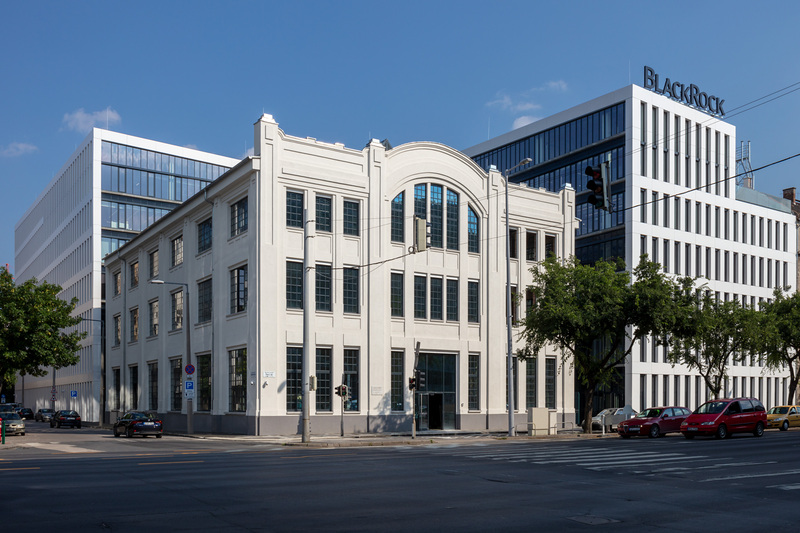 “We believe that co-working spaces are the offices of the future, and the first Spaces co-working office will enhance the already thriving market in Budapest – not to speak of the building itself, which is absolutely beautiful” – added David Johnston. The GTC White House office building is built on the site of former elevator factory on the Váci Road office corridor. The office building has a total leasable area of 21,500 sq. m including a 2,000 sq. m entirely re­furbished standalone loft building and, 19,500 m2 of new premium quality offices. GTC White House has achieved the LEED Platinum certification in recognition of its environmentally friendly and sustainable technical solutions.